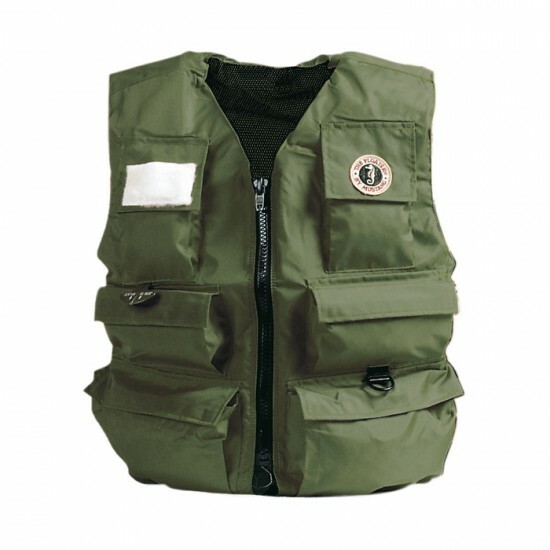 Excellent for fishing in warm weather, the Mustang Inflatable Fishing Vest is comfortable and light weight so you might forget you’re wearing a PFD. 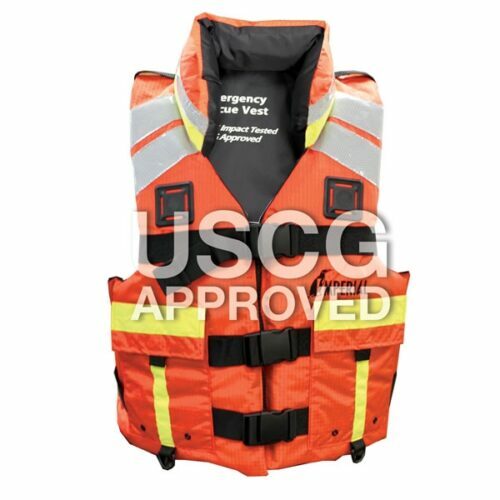 Activated by manually pulling an activation cord, the inflatable vest is lighter and cooler than regular foam vests but still offers the same flotation performance. Great to wear over a t-shirt or warmer layers while lake or river fishing. 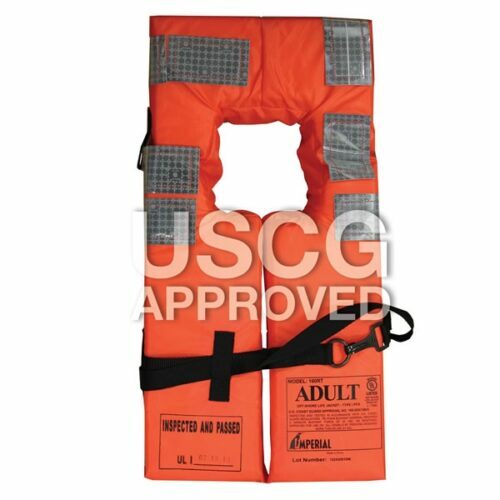 Manually-activated inflatable PFDs are inflated by pulling the inflation cord that hangs from the PFD at waist-height. They will not inflate when they get wet or are immersed in water. 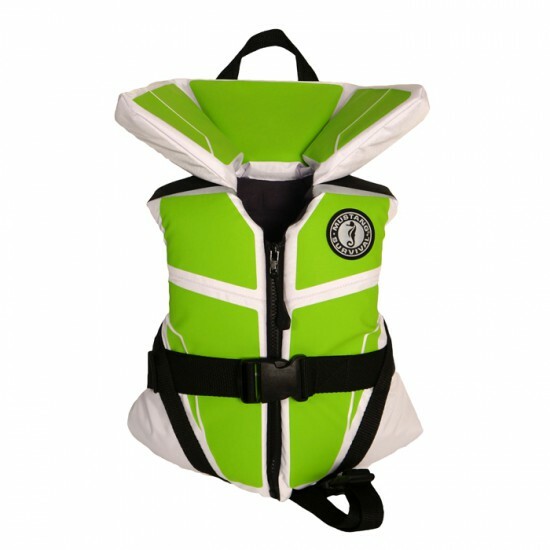 Manually-activated PFDs are a great choice for activities such as paddling, wade-fishing and swimming where there is a reasonable chance you will end up in the water and are confident you will be able to pull the inflation cord when you need it. 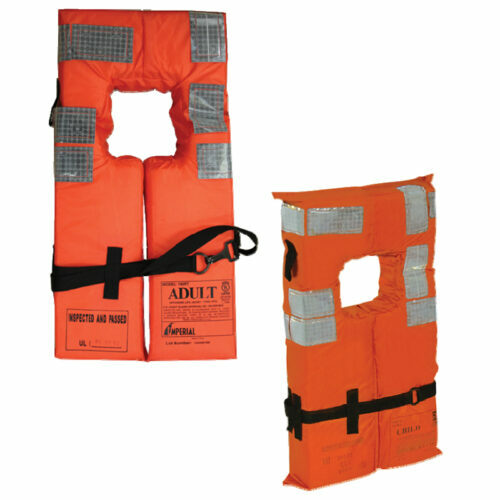 They are also ideal for situations where control over PFD inflation is desired. Imperial COMMERCIAL ADULT USCG OVER 90 LB.